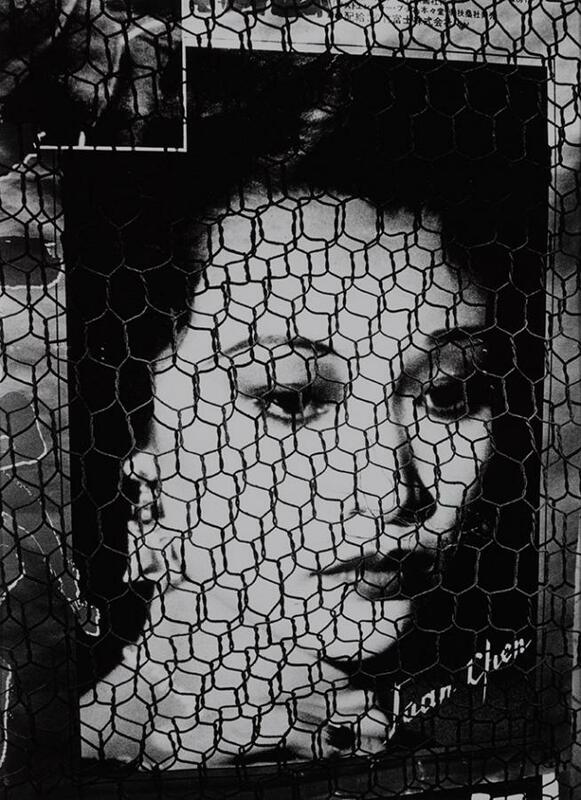 Running in tandem with a group showing at the Barbican that includes his work, Daido Moriyama’s solo exhibition at Michael Hoppen Gallery in Chelsea features a rare collection of the influential Japanese photographer’s vintage silver prints. The artist uses a small, hand-held automatic camera to achieve his high-contrast aesthetic, producing a form of ‘unique chiaroscuro’ in the darkroom. Inaugurating Richard Saltoun’s new gallery space in Mayfair, ‘Women Look at Women’ is a timely exploration of feminine identity, as seen through the work of 13 internationally renowned women artists. From images of Eleanor Antin’s staged drag performance as her fictional character in The King of Solana Beach, to Renate Bertlmann’s Transformations (1969/2013) where 53 staged self-portraits represent different female character types (the free spirit, the demure girl, the mad eccentric, and so forth) – this is a bodily, visceral show that interrogates what it is to be a ‘female’ today. Read our full review here. How is the ideal city interpreted? Drawings, paintings and sculptures adorn Waddington Custot in ‘Invisible Cities: Architecture of Line’, a show by an array of international artists offering visually poetic interpretations of utopian metropoles. Curator Flavia Frigeri looked to a fictional conversation between Marco Polo and Kublai Khan in Italo Calvino’s Le città invisibili for the show’s inspiration, Polo detailing geographically unspecific, wondrous cities, imbued with glimpses of reality. Particular highlights include paintings by Maria Helena Vieira da Silva, who splinters the physical architecture of the cityscape to produce a dream-like illusion of space. 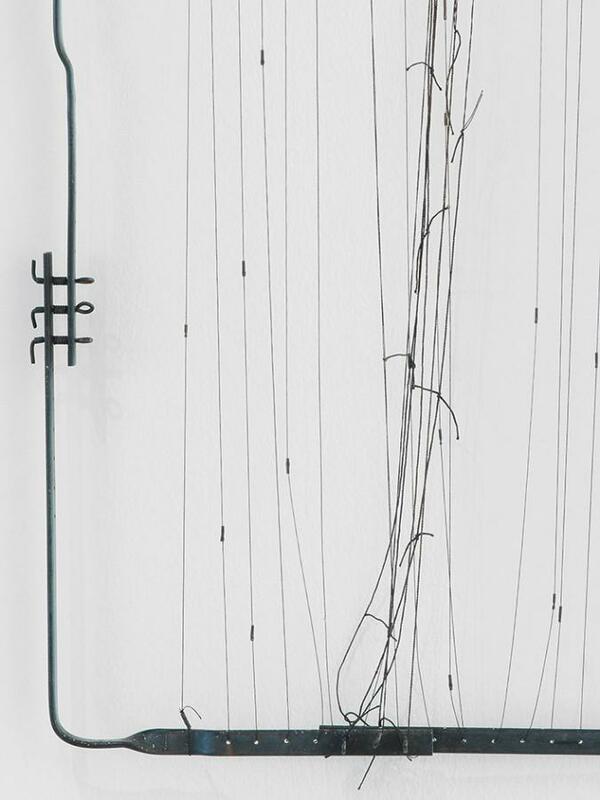 Additionally, Gego’s sculptures move past prescribed ideas of structure, taking on ethereal and abstract forms. 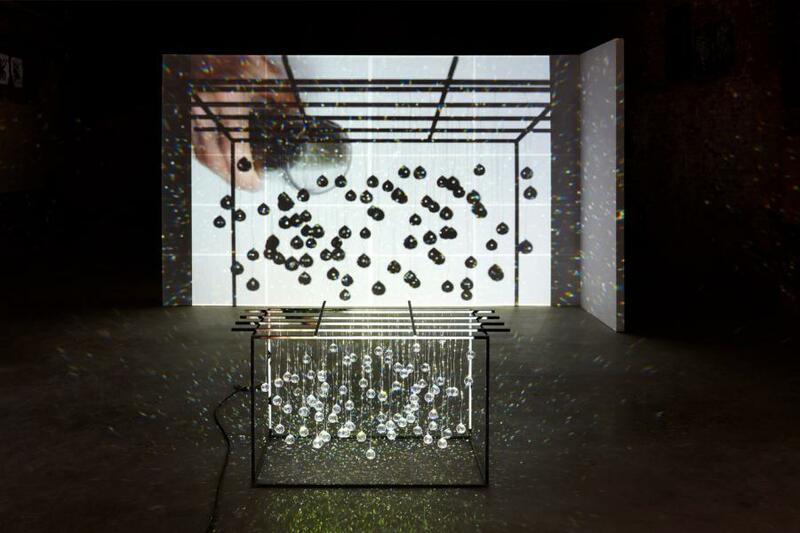 This March, Tate Modern is presenting the largest survey of Joan Jonas’ work ever to be staged in the UK. Reflecting the way Jonas works across many different disciplines, this groundbreaking survey will be the first of its kind at Tate, combining a gallery exhibition, a ten day live programme in the Tanks which will feature performances by Jonas herself, and a film retrospective in the Starr Cinema. 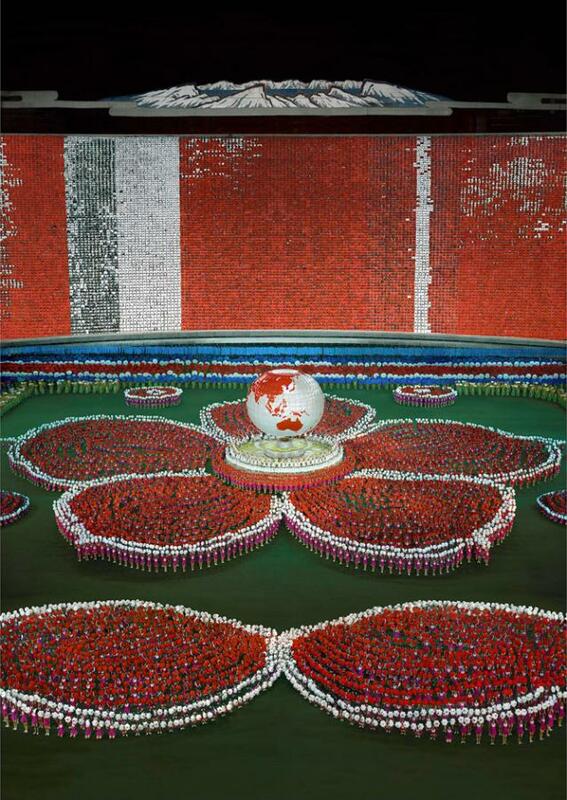 It will show her powerful impact on contemporary art and her dedication to boundary-pushing. The immersive, inter-disciplinary exhibition will celebrate Jonas’ astounding, five-decade contribution to performance, uniting the most important pieces from across her career. Early and late works will sit alongside each other, reflecting Jonas’ interest in revisiting her own history. 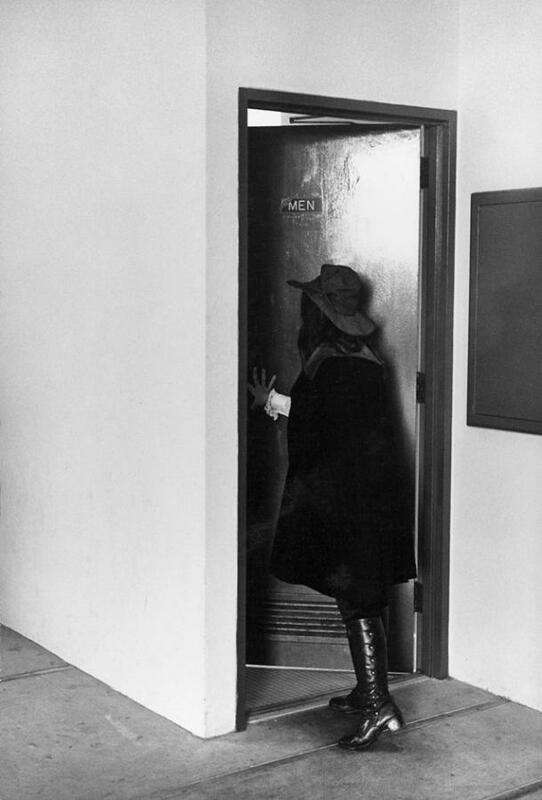 Japanese artist Setsuko Ono, Yoko Ono’s younger sister, exhibits two solo exhibitions for the first time in London. Setsuko says she works in real-time, meaning not planning too much and going with the flow. Her inspiration comes from memories of being ‘brainwashed’ as a teenager by silent performance 4’33” and meeting John Cage, who wrote ‘ideas are one thing and what happens another’. 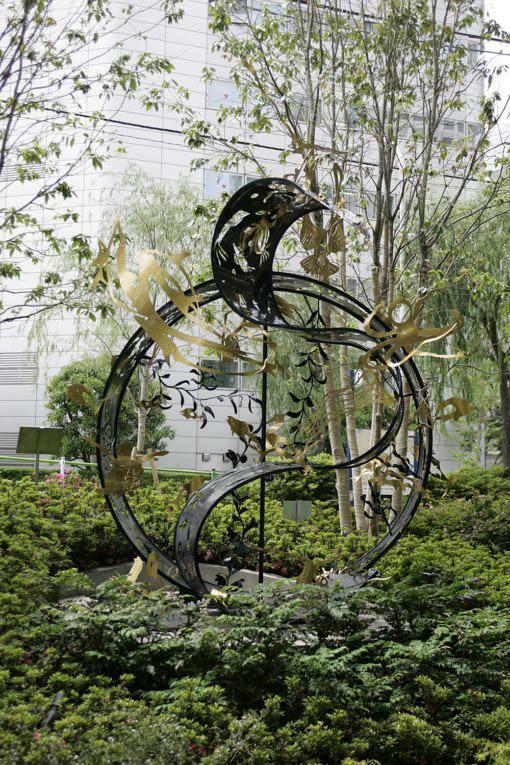 Setsuko’s sculptures experiment with various materials, but it is steel which gives the flexibility, freedom and light to create a wonderful sense of movement. Delicate in style and subject, she explores evocative themes including dancing, nature, migrants and ‘political stands’. Her works include the dramatic Dancing Peasant and Migrants sculptures, and the emotionally provocative paintings Aleppo and Children. In her work, Setsuko expresses great sadness at the way displaced people are treated by the world. Visitors can also view Setsuko’s permanent exhibits in Japan, using virtual reality. British photographer Kate Friend spent the summer of 2017 touring England’s greatest gardens – from Houghton Hall to Fern Verrow – gathering subjects for her exhibition of botanical portraits, currently on view at Garden Museum. 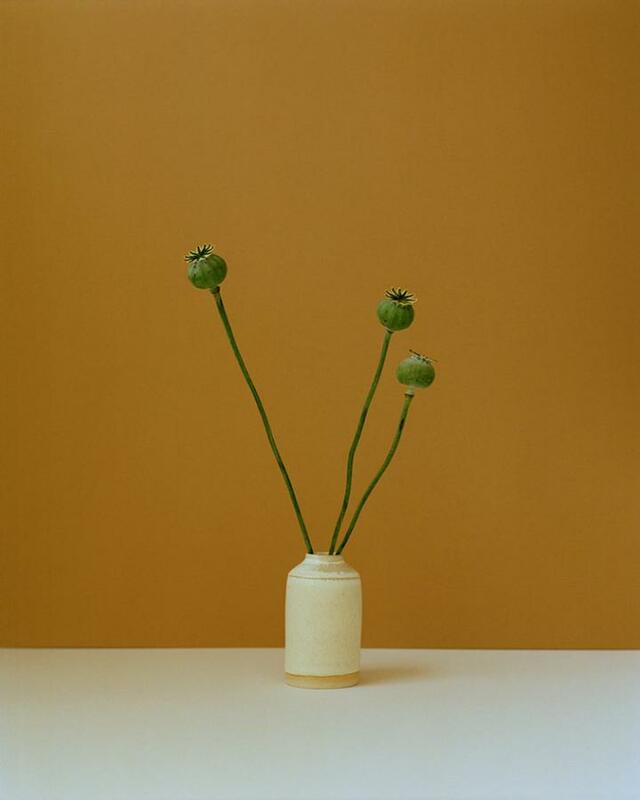 Nodding to the Japanese tradition of standing flowers (rikka), the series features a number of stems isolated from their natural environment, posing artfully in front of the lens. Ten portraits are alongside a ‘narrative wall’ – a separate display showing ‘behind the scenes’ photographs and location shots. 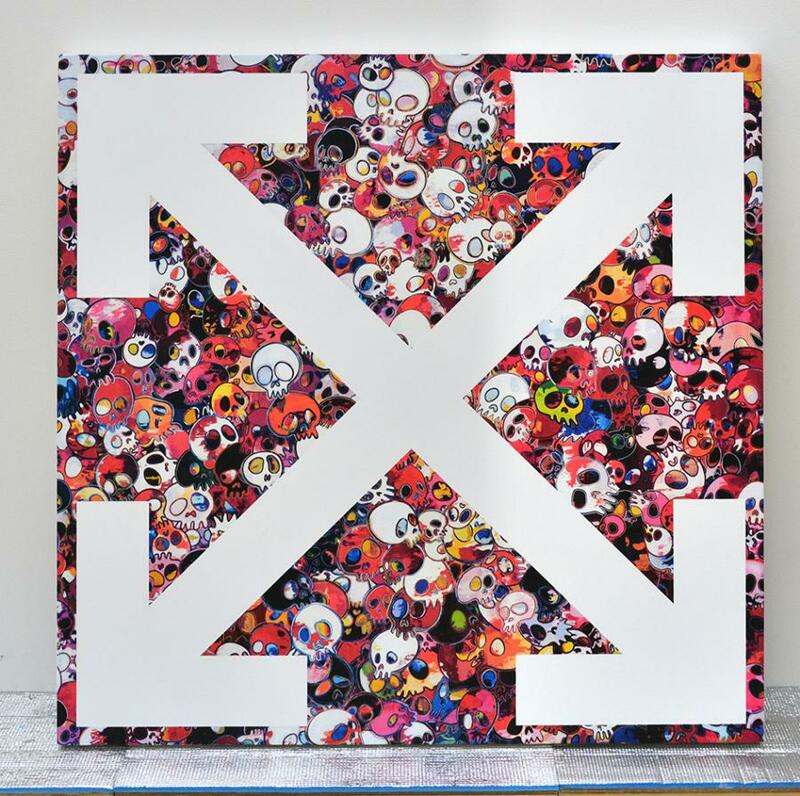 Rachel Howard brings her painting series ‘Repetition is Truth – Via Dolorosa’ to Newport Street Gallery for its first UK outing. Exploring themes of religion, repetition, morality and controlled violence, Howard focuses on a 2005 study of Ali Shallal al-Qaisi, the Iraqi detainee photographed being tortured by American soldiers in Abu Ghraib prison in 2003. Her abstracted paintings look to the box that al-Qaisi stands on in the photographs, Howard treating it as a 21st-century place of horror, humiliation and human rights atrocities that appears almost submerged beneath the paint. On the Design Museum’s pioneering roster of exhibitions this year is a graphic design-orientated one, sure to get tongues wagging. 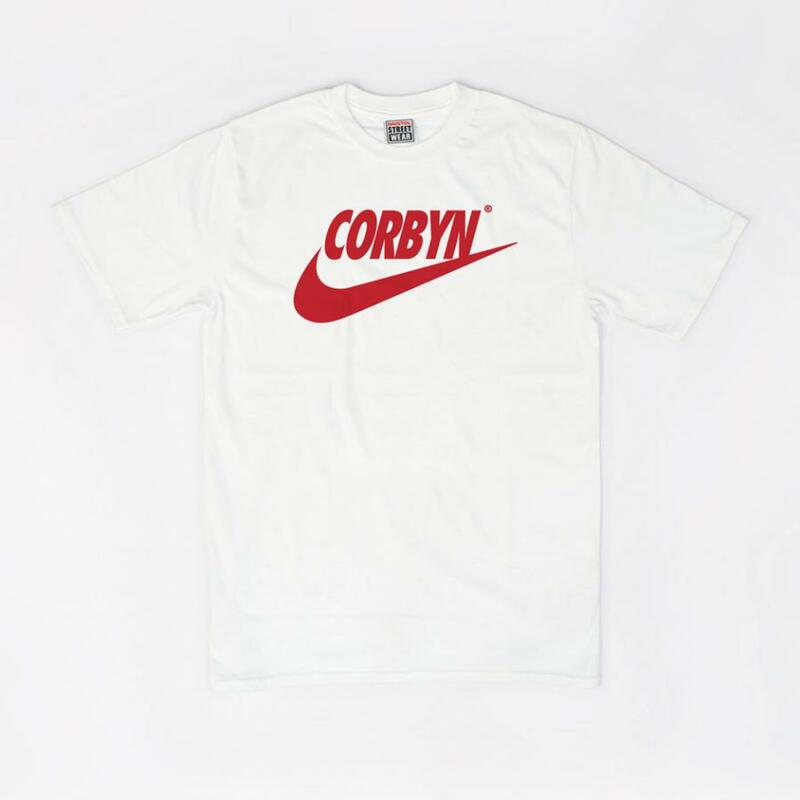 ‘Hope to Nope’ promises to demonstrate ‘how graphic design and technology have played a pivotal role in dictating and reacting to the major political moments of our times’/ Since 2008, social media has exploded, and with it, protest is becomming more visually experimental, and increasingly universal. From Occupy Wall Street to Hong Kong’s Umbrella Revolution, the exhibition explores over 160 objects and installations, and uncover the real-time social media conversation around political leaders, through dynamic displays created in partnership with leading social listening platform, Pulsar. The Hayward Gallery’s eagerly anticipated reopening became even more so when they announced that Andreas Gursky would be inaugurating it. Having been closed for refurbishment for two years, the major exhibition falls in the Hayward’s 50th year, and is intended to sum up everything that the pioneering gallery stands for. Known for his large-scale photographs that portray emblematic sites and scenes of the global economy, ‘he’s a true innovator engaged in thinking about and picturing the times in which we live in,’ says gallery director Ralph Rugoff. The exhibition will feature approximately 60 of the German artist’s works – sweeping landscapes that both depict and allegorise modern life – from the 1980s through to his most recent, which continue to push the boundaries of the medium. Two heads are better than one – and six legs are better than two, or at least, that’s what art collective Superflex think. 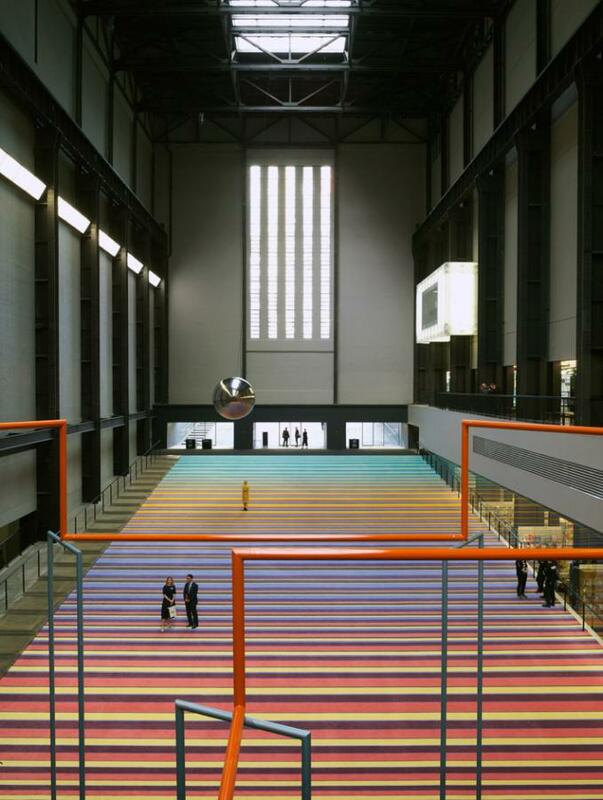 The Danish trio have filled the Turbine Hall in the Tate Modern with rows of three-seater swings, the latest Hyundai Commission unveiled at the London gallery last October. The interactive, giant playground – ‘One Two Three Swing!’ – which also features a monumental pendulum, estimates it will swing in more than three million visitors until its conclusion in April. 11 One Two Three Swing! ‘Merrie Albion – Landscape Studies of a Small Island’ by Simon Roberts, now on view at Flowers Gallery, looks at the collective British identity as witnessed in social environments. 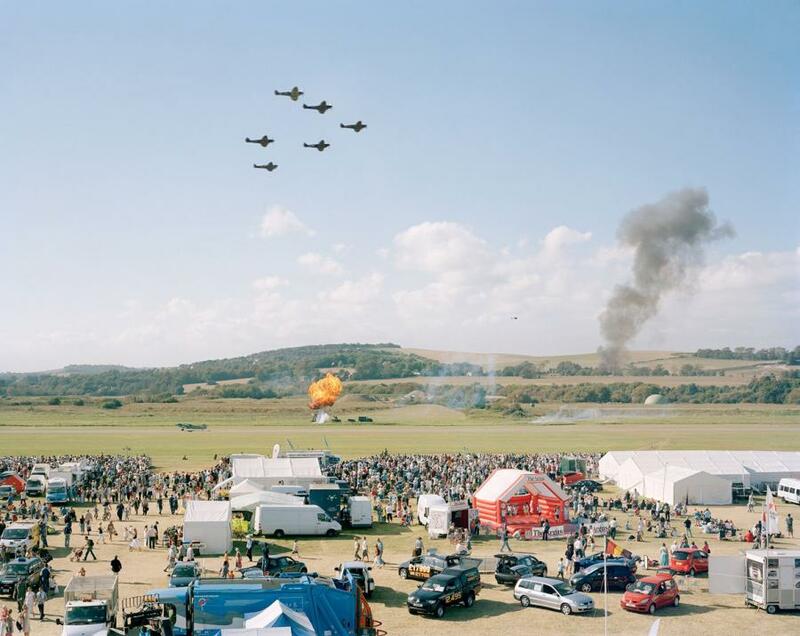 Roberts’ large format photography documents community gatherings across the UK with a detached perspective and deadpan aesthetic. The showcase features photographs considering topical British current affairs, such as Grenfell Tower, North Kensington, London, 19 June 2017, and provides pastoral and urban readings of the treatment of British history in leisure-based contexts. 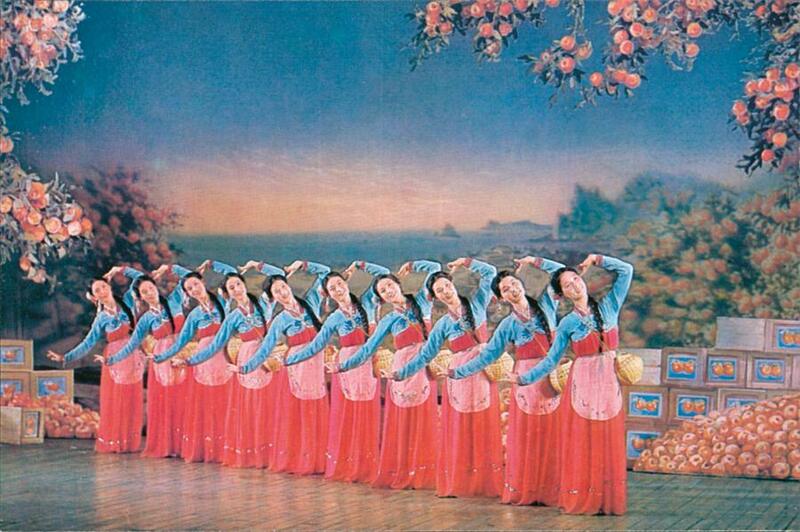 Last September, Phaidon pulled back the curtain on North Korea’s graphic design ethos, with the publication of Made in North Korea: Everyday Graphics from the DPRK, the imagery from which forms the basis of a new exhibition at House of Illustration, opening this month. Thousands of items, from tinned food labels to invitations for state performances, many striking in design, will fill the bijou gallery, ready to be oggled by our western-purview lens. The UK’s first ever exhibition of graphic design from North Korea, it reveals a style honed over decades, untouched by outsider influence. French filmmaker Sébastien Lifshitz started collecting found photographs of queer culture at flea markets and junk shops around the world while still an art student navigating his own sexual identity. 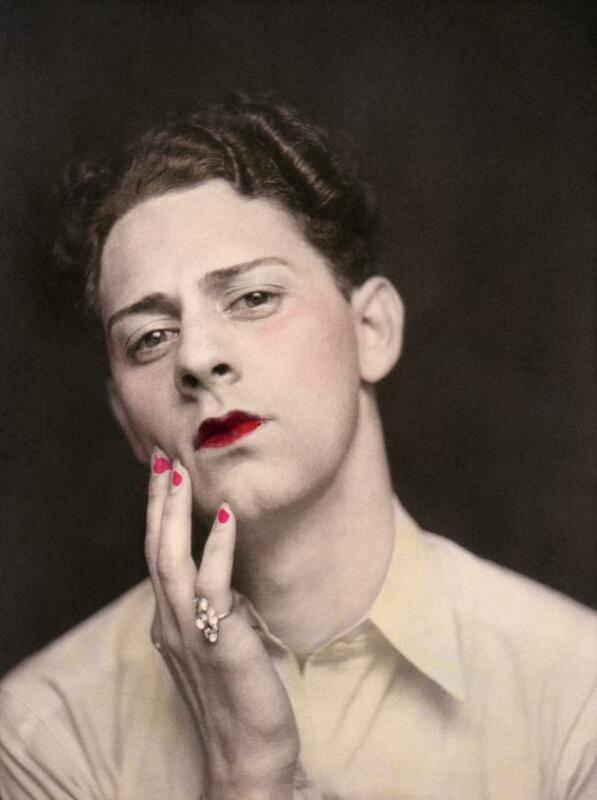 Twenty-five years later, his remarkable collection of private pictures of anonymous non-gender conforming figures, dating as far back as 1880, is on show at the Photographers’ Gallery. Presented alongside Lifshitz’s extensive archive images of Bambi – France’s most famous transsexual woman, and the subject of the director’s award-winning 2013 documentary – images range from the halcyon days of Parisian cabaret, to more clandestine groups, such as the self-staging Washington community, who threw secretive cross-dressing parties at home, to soldiers who used drag as escapism. ‘Under Cover’ broadens the perception of what it means to dress up as someone else, through the endless inventiveness caught on camera, lost, unknown, but now visible at last. Highly technical architecture, computer algorithms, and lots of lots of light combine in Pardo’s ethereal exhibition at Victoria Miro. 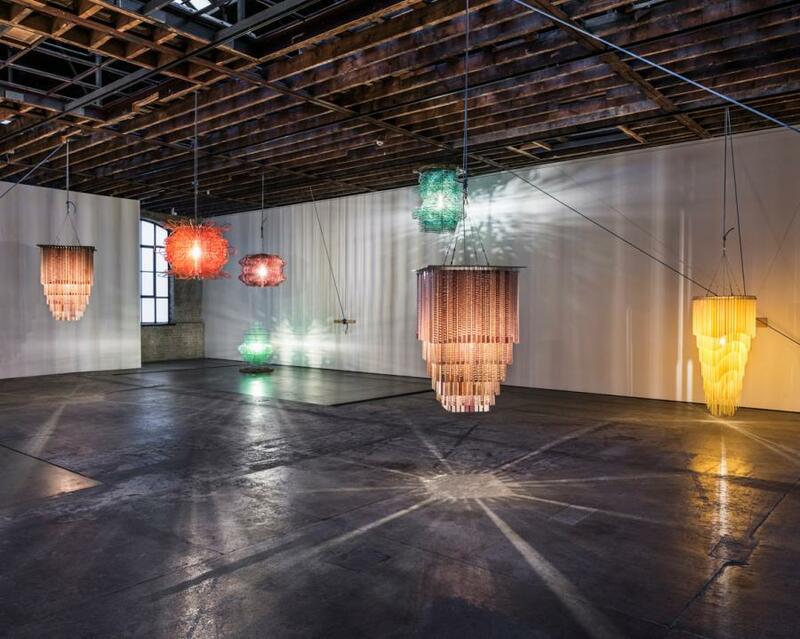 The Cuban-American artist has made a new collection of chandeliers for the show, each up to 1.7 metres tall, suspended at various heights throughout the Wharf Road gallery. Throughout, Pardo asks us to engage in the material quality of the works, some of which are made from materials foraged from the gallery’s canalside garden, and the verdant jungle landscape of Mérida, Mexico, where the artist lives and works. 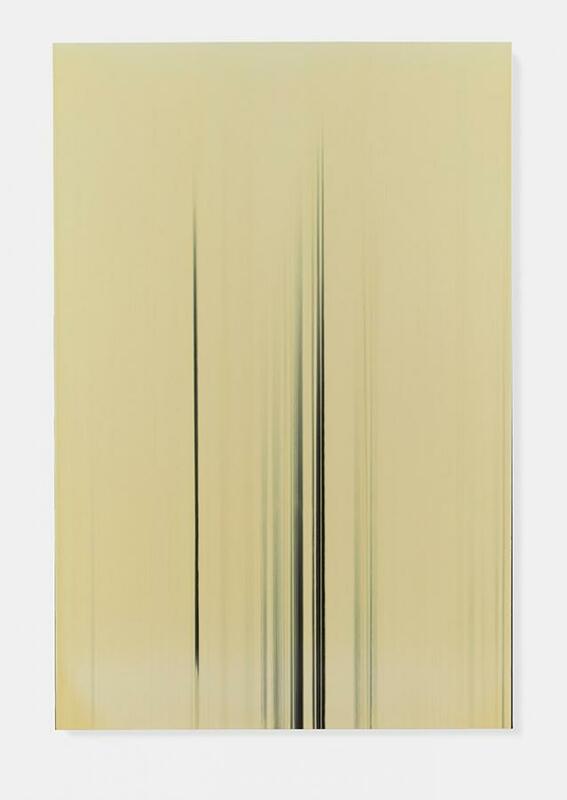 In addition, Pardo has created new paintings from layers of laser-cut birch wood and MDF, perforated and painted to give an indication of landscapes partially veiled by moiré-like patterns. 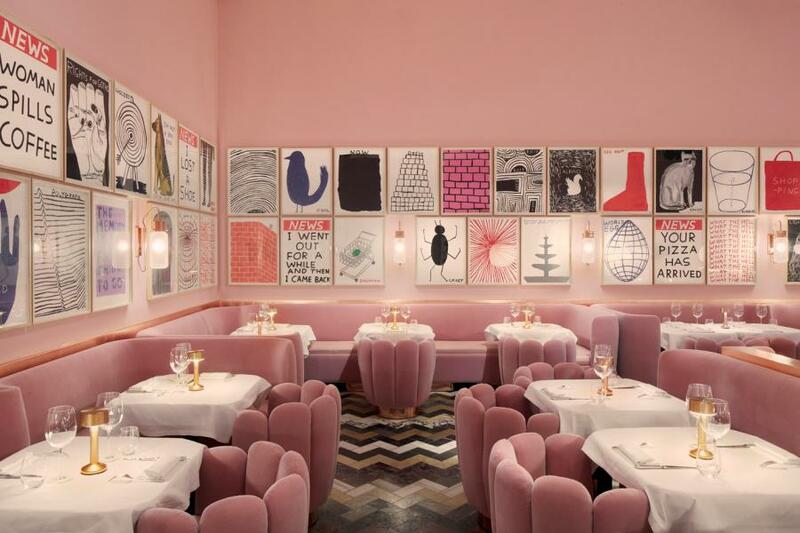 Ninety-one colourful new works by David Shrigley adorn the Millennial-pink walls of the perennially instagramable Mayfair restaurant Sketch, replacing 239 black and white drawings that have been in place since 2014. Straddling, as he does, the gulf between tragedy and comedy with enviable ease, Shrigley has created new works that comment of the banality of every day life in a way which both undercuts and complements the bubble-hum popping mood evoked by India Mahdavi’s dreamy pink interiors. The exhibition continues on the restaurant ’s tables – a space Shrigley understands as an auxiliary platform for the presentation of new work, by himself and master chef, Pierre Gagnaire: think scribbled on coffee cups and illustrated condiment pots. Enjoy your eggs with a side of Shrigley. At Almine Rech Gallery’s London outpost is an extensive exhibition of work by the late German artist Günther Förg, whose 30-year practice is hard to define, given his polyamorous relationship with medium (his eclectic oeuvre includes large format photographs of architecture, bronze masks, bas-reliefs, and gestural wall paintings in colour and monochrome). All aspects of 20th-century art were inspiration to Förg—be it Bauhaus buildings or the brushstrokes of Klee and Mondrian. Förg’s is art on art—modernism once removed. Presenting architecture through photography, or painting through sculpture, the artist created a compendium of the contemporary visual world. 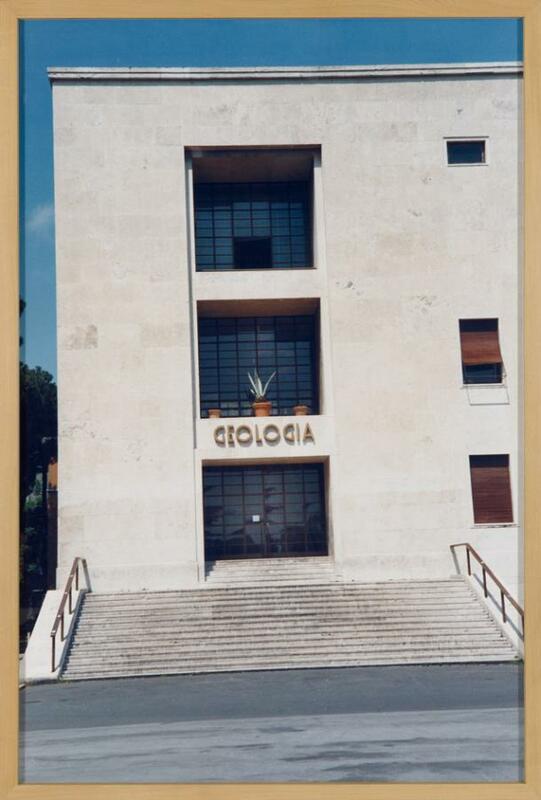 This is shown in a series of five large-scale photographs of Italian rational architecture, taken at the campus of the Citta Universitaria, Rome, in the 1990s. The buildings, designed by Marcello Piacentini, were an example of the prevalent fascist style under Mussolini—yet in Forg’s pictures they stand still and silent, shot in a straightforward, simplistic way, their structure once political purposeful. It’s just one of the ways Förg makes us look, and relook, at the recent history of art.